This year’s CSA is from Paisley Farm, a 25-acre operation located in Tivoli, NY. Paisley Farm grows organically and plants with the chef in mind. 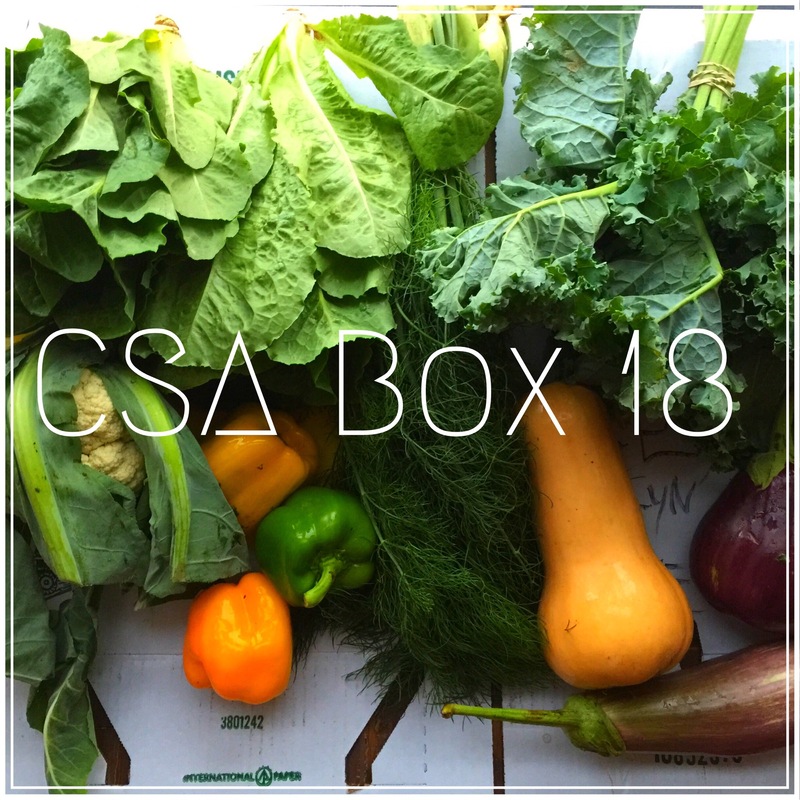 The 22-week CSA runs from June – October and I purchased the standard vegetable share. This share includes 8-9 vegetables and herbs per week (8-12 pounds) – enough to provide a family of three with 3-4 dinners’ worth of veg. The price equals out to $25 per week, the cost of which will be accounted for in my weekly Adventures In Budget Paleo Cooking posts. I made a mash out of the cauliflower, which I served simply with pulled pork. I had pulled pork tacos in Napa cabbage wraps with an apple & bell pepper slaw for lunch. On two separate days, I had bunches of Napa cabbage sauteed with some butter and caraway seed & topped with pulled pork and a fried egg for lunch. I roasted half the delicata squash with baby fennel, harissa and olive oil and served that with a kale salad and duck breast for a decadent dinner. I made a green cauli rice with bell pepper and cilantro for dinner and served with crispy chicken thighs. Waste: If I find that head of curly kale again, I’m tossing it – it’s a month old; it has to be dead, right? The trevisio is pretty much dead as well, and I know I’m not going to use the lettuce, so that should go too. And the jar of roasted eggplant – sadly, it has to go as well — mold is no bueno. I’m not saying pulled pork in cabbage wraps, though I do love that dish. I’m going for the delicata squash as my favorite for the week. I forgot how much I love the nuttiness and sweetness this squash brings to the dinner party. And the hubbs liked it, too, so score! Going into next week, I have: A bunch of frozen bell peppers, 3 fresh peppers, and 10 eggplant.